Where is Albufeira? Its on the Algarve, I am sure you have heard of that, glorious sunshine, beaches and hot weather! Albufeira hen weekends are one of the most ultimate experiences if you want to make it an extra special event! Not only are you going to have a fantastic time away with your friends, but you are promised glorious sunshine and some serious partying! Albufeira is not far from Faro airport in Portugal and is one of the most popular places to go if you want to get away from it all for some fantastic weather, a lot of fun and an exciting hen night. Albufeira was once a small fishing town but now attracts thousands of visitors every year who wander around the cobbled streets of the pretty old town, visiting boutique shops and eating at seafood restaurants. If you’re planning a weekend there or longer, then there’s plenty of places to stay – from basic self-catering apartments to 5* luxury hotels, so whatever your budget you are sure to find somewhere which is conveniently located and within walking distance of the centre of town. Albufeira hen weekends promise good weather most of the year around and with a 30km coastline and 25 beaches, it’s the perfect place to relax and catch some rays. Try some water sports or hang out at the local beach bar where you can chill out to the good vibes while you sample a few local cocktails! The main town is quietly bustling during the day, so it’s a great place to explore if you fancy seeing the sites and looking at the local nightspots to plan your exciting hen night! It has some great shopping areas too, so don’t miss out on some retail therapy and window shopping while you’re here. Many of the cafes and restaurants overlook the beaches, so you can have a bite to eat while you look over the ocean watching the paragliders and the windsurfers. Albufeira hen weekends are the best experience and the perfect place to go if you want to relax during the day, then party at night! Albufeira by night becomes a lively atmospheric hub of partygoers, stag parties and hen groups! The resort is so popular for people who just want to have a great time with their friends and there’s so many places to go that you are guaranteed one of the best nights of your life. Much of the nightlife is located around an area called The Strip, where there’s lively bars, classy cocktail bars, wonderful restaurants, booming karaoke bars, disco dance bars and nightclubs. Try out some of the local cocktails, rock it up at a live music pub and get up on stage at the karaoke bar to sing your hearts out! Did you bring your dancing shoes? Well, Albufeira hen weekends guarantee some of the best nightclubs in The Algarve so make sure you experience at least one! 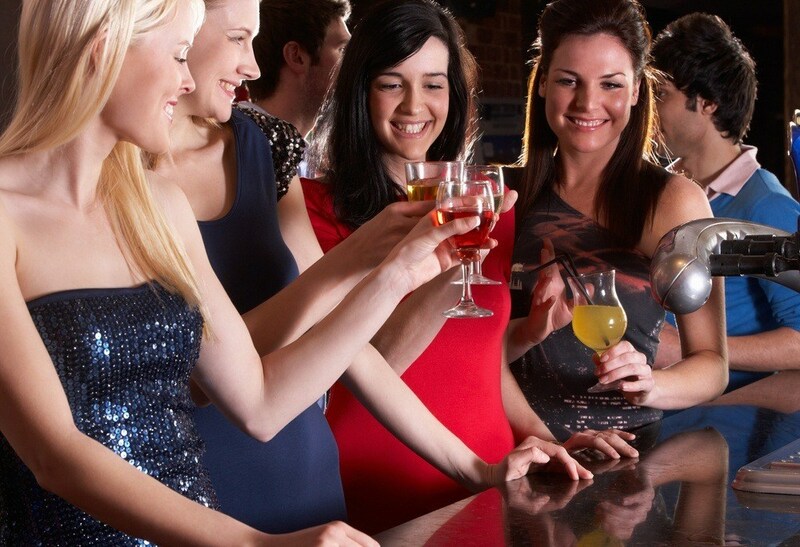 It’s also worth telling them on the door that you’re a hen party, because you may get some extra special VIP treatment! Kadoc Club, Capitulo and Disco S Club have some great DJ’s and are often open until near breakfast time if you want to dance the night away. 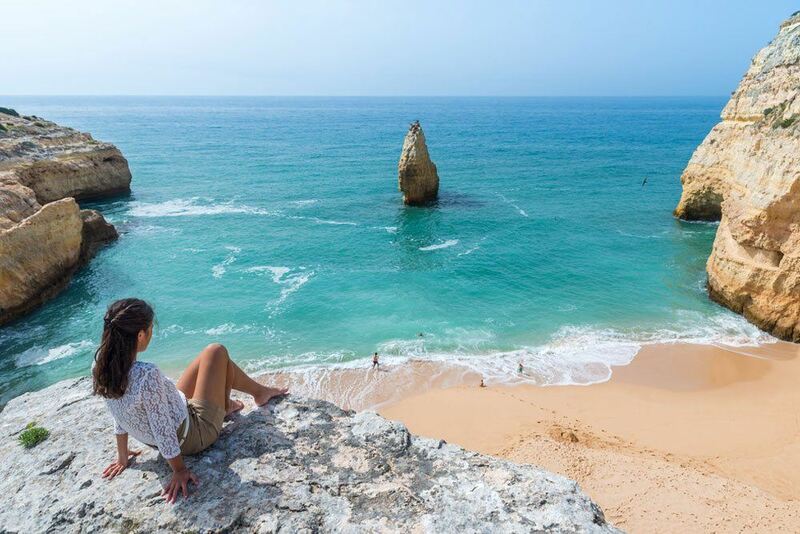 What more could you want for exciting hen nights on the Algarve with sunshine, some relaxing beach life, retail therapy, seafood restaurants, cocktails and some great places to party!